Many of the Heroines in my book are linked by family connections; sometimes their stories are there for completely different reasons, but sometimes the similarities are intriguing. Katherine Swynford’ s story is in my chapter on Mistresses and is unique in that she eventually married her prince. Katherine’s granddaughter, Joan Beaufort, also made it into the book, in that she was one half of, arguably, the greatest love story of the middle ages. I say arguably, of course, because many would say that Katherine’s was the greatest. You may not consider a mistress as a heroine, seeing her as ‘the other woman’ and not worthy of consideration. However, women in the medieval era had little control over their own lives; if a lord wanted them, who were they to refuse? And even if they were in love, differences in social positions could mean marriage was impossible – at least for a time. 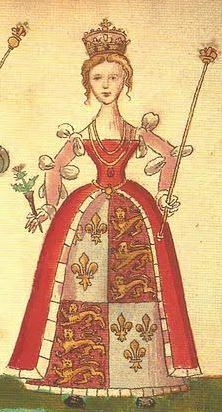 Katherine was born around 1350; she was the younger daughter of Sir Payn Roelt, a Hainault knight in the service of Edward III’s queen, Philippa of Hainault, who eventually rose to be Guyenne King of Arms. Her mother’s identity is unknown, but Katherine and her older sister, Philippa, appear to have been spent their early years in Queen Philippa’s household. By 1365 Katherine was serving Blanche, Duchess of Lancaster, the first wife of John of Gaunt and Katherine was married to Sir Hugh Swynford of Coleby and Kettlethorpe, Lincolnshire, shortly after. The couple had two children, Thomas and Blanche, who was named after the duchess. John of Gaunt stood as little Blanche’s godfather and she was raised alongside his own daughters by Duchess Blanche. Following Blanche’s death in 1368, Katherine was appointed governess to the duchess’s daughters. In September 1371 John of Gaunt was remarried, to Constance of Castile; Constance had a claim to the throne of Castile and John was soon being addressed as King of Castile. In the same year, Katherine’s husband, Sir Hugh Swynford, died whilst serving overseas and it seems that within months of his death, probably in the winter of 1371/72 Katherine became John’s mistress. Their first child, John Beaufort, was born towards the end of 1372. Over the next few years, three further children – two sons and a daughter – followed. John’s wife Constance also had children during this time – she gave birth to a daughter, Catherine, (Catalina) in 1373 and a short-lived son, John, in 1374. We can only guess at what the two women thought of each other, but it can’t have been an easy time for either. In 1381, following the unrest of the Peasants’ Revolt and the hefty criticism aimed particularly at John and his relationship with Katherine, John renounced Katherine. Giving up her position as governess, Katherine left court and returned to Lincoln. Her relationship with John of Gaunt and, indeed, his family, remained cordial and the duke still visited her, although discreetly. In 1388 Katherine was made a Lady of the Garter – a high honour indeed. And in 1394 Constance died. In January 1396, John and Katherine were finally married in Lincoln Cathedral; Katherine had gone from being a vilified mistress to Duchess of Lancaster. Her children by John were legitimised by the pope in September 1396 and by Richard II’s royal patent in the following February, although they were later excluded from the succession by Henry IV. Sadly, Katherine’s marital happiness with John of Gaunt was short-lived; John of Gaunt died in February 1399 and Katherine retired to live in Lincoln, close to the cathedral of which her second son by John, Henry, was bishop. Katherine herself died at Lincoln on 10 May 1403 and was buried in the cathedral in which she had married her prince. Her tomb can still be seen today and lies close to the high altar, beside that of her youngest child Joan Beaufort, countess of Westmorland, who died in 1440. Although it seems easy to criticise Katherine’s position as ‘the other woman’, her life cannot have been an easy one. The insecurity and uncertainty of her position, due to the lack of a wedding ring, must have caused her much unease. However, that she eventually married her prince, where so many other medieval mistresses simply fell by the wayside and were forgotten, makes her story unique. What makes her even more unique is that Katherine’s own granddaughter was part of one of the greatest love stories of the middle ages. Joan Beaufort was the only daughter of Katherine’s eldest son by John of Gaunt, also named John. The story of King James I of Scotland and his queen, Joan Beaufort, is probably the greatest love story of the medieval era. 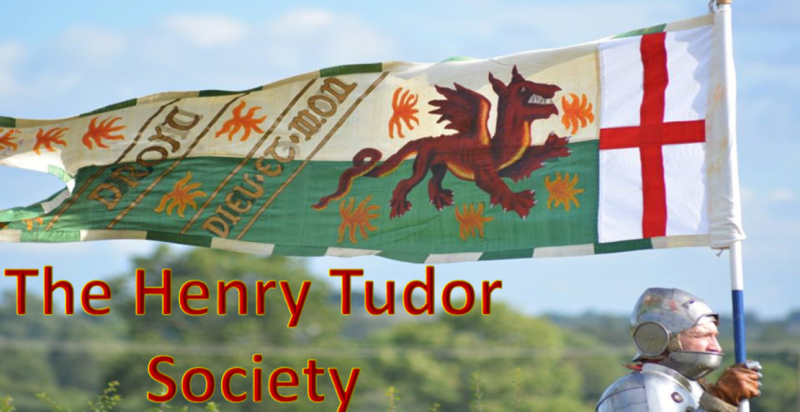 He was a king in captivity and she a beautiful young lady of the court of her Lancastrian cousin, Henry V. The son of Robert III of Scotland, James had been on his way to France, sent there for safety and to continue his education, when his ship was captured by pirates in April 1406. Aged only eleven, he had been handed over to the English king, Henry IV, and imprisoned in the Tower of London. Within a couple of months of his capture, James’s father had died, and he was proclaimed King of Scots, but the English would not release their valuable prisoner. James was closely guarded and regularly moved around, but he was also well-educated while in the custody of the English king and became an accomplished musician and poet. Are ye a worldy creature? Or heavenly thing in likeness of nature? James’s imprisonment lasted for eighteen years. His uncle Robert Stewart, Duke of Albany and Guardian of Scotland in James’s absence, refused to ransom him, in the hope of gaining the throne himself. He never quite garnered enough support, but managed to keep the Scottish nobles in check. However, when he died in 1420, control passed to his son Murdoch, and Scotland fell into a state of virtual anarchy. With Henry V’s death in 1422, it fell to his brother John, Duke of Bedford, as regent for the infant Henry VI, to arrange James’ release. The Scots king was charged 60,000 marks in ransom – ironically, it was claimed that it was to cover the costs for his upkeep and education for eighteen years. The agreement included a promise for the Scots to keep out of England’s wars with France, and for James to marry an English noble woman – not an onerous clause, given his love for Lady Joan Beaufort. James and Joan were married at the Church of St Mary Overie in Southwark (now Southwark Cathedral) on 2 February 1424, with the wedding feast taking place in the adjoining hall, the official residence of Joan’s uncle Henry Beaufort, Bishop of Winchester. Finally united – and free – the young couple made their way north soon afterwards and were crowned together at Scone Abbey on 21 May 1424. James and Joan had eight children, seven of whom survived childhood. Their six daughters helped to strengthen alliances across Europe. The royal couple finally had twin sons on 16 October 1430; and although Alexander died within a year of his birth, his younger twin, James, thrived and was created Duke of Rothesay and heir to the throne. He would eventually succeed his father as James II. On his return to Scotland, James immediately set about getting his revenge on the Duke of Albany’s family and adherents; executing some, including Murdoch, Albany’s son and heir. Two other claimants to James’s throne were sent to England, as hostages for the payment of his ransom. James and Joan ruled Scotland for thirteen years; James even allowed Joan to take some part in the business of government. Although the Scots were wary of her being English, Queen Joan became a figurehead for patronage and pageantry. The English hope that Joan’s marriage to James would also steer the Scots away from their Auld Alliance with France, was short-lived, however, and the 1436 marriage of their eldest daughter, Margaret, to the French dauphin formed part of the renewal of the Auld Alliance. James’ political reforms, combined with his desire for a firm but just government, made enemies of some nobles, including his own chamberlain Sir Robert Stewart, grandson of Walter, Earl of Atholl, who had been James’s heir until the birth of his sons. Sir Robert and his grandfather hatched a plot to kill the king and queen. In February 1437, the royal couple was staying at the Blackfriars in Perth when the king’s chamberlain dismissed the guard and the assassins were let into the priory. The king is said to have hidden in an underground vault as the plotters were heard approaching. There is a legend that the vault had originally been an underground passage, however, the king had ordered the far end to be sealed, when his tennis balls kept getting lost down there. Unfortunately, that also meant James had blocked off his own escape route. The assassins dragged the king from his hiding place and stabbed him to death; Joan herself was wounded in the scuffle. And one of the greatest love affairs of the era ended in violence and death. The plotters, far from seizing control of the country, were arrested and executed as the Scottish nobles rallied around the new king, six-year-old James II. Joan’s life would continue to be filled with political intrigue, but her love story had been viciously cut short, without the happy ending her grandmother had achieved. Katherine and Joan led very different lives, although the similarities are there if you look for them; they both lived their lives around the glittering court and married for love. Joan’s happy marriage only achieved because her grandmother finally got her prince; if Katherine had not married John of Gaunt, the Beauforts would have remained illegitimate, their futures seriously restricted by the taint of bastardy. Sharon Bennett Connolly has been fascinated by history for over 30 years now and even worked as a tour guide at historical sites, including Conisbrough Castle. Born in Yorkshire, she studied at University in Northampton before working in Customer Service roles at Disneyland in Paris and Eurostar in London. She is now having great fun, passing on her love of the past to her son, hunting dragons through Medieval castles or exploring the hidden alcoves of Tudor Manor Houses.